Where do I Store my Cryptocurrencies? Can I Request a Coin Guide? Do I Have to Buy a Whole Bitcoin? Which UK Banks will let me buy Cryptocurrencies? There are two main ways to buy NEO. 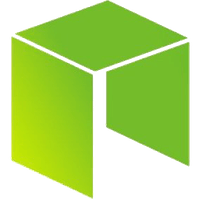 Firstly, you can trade Bitcoin (BTC) for NEO on an exchange: the first guide will walk you through this method. If you already have Bitcoin to hand, skip Step 1. Alternatively, you can buy NEO via AnyCoinDirect, which is the most simple option, but carries a slight surcharge. At the bottom of the page, we explain why you should move your NEO to a wallet, not only for security but also to enable you to earn GAS. Click here for a detailed guide on buying BTC in the UK, including many more options. The buying process is very simple with AnyCoinDirect, a reputable European cryptocurrency website that offers Bitcoin as well as various altcoins. Note, however, that your bank may charge you extra fees in order to complete a SEPA transaction. Always check with your bank before making a transaction in a different currency. We always recommend that you move your cryptocurrencies off of exchanges if you are planning to hold on to them. This way, you’ll hold the keys to your wallet, and therefore will truly own your coins. The most secure option that we recommend is to purchase a hardware wallet: a small electronic device that is immune to many of the threats that software wallets face (such as viruses and hacks). The most reputable and appropriate hardware wallet for most of our visitors is the Ledger Nano S, which allows you to securely store a number of cryptocurrencies, including NEO. You can see a full list of supported cryptocurrencies here. You’re entitled to earn GAS for each whole NEO you own. To earn GAS, you need to move your NEO to a compatible wallet. We recommend the Neon wallet. An excellent guide on how to move your NEO to Neon and start earning GAS can be found here. We send a free Intro to Crypto PDF to all subscribers. We made this website to help other Brits in buying cryptocurrency. If you’re still struggling after reading our guide, contact us here. You can also check out our cryptocurrency glossary, which aims to explain some of the common jargon. We have helped facilitate millions of pounds worth of cryptocurrency transactions. Thank you for your trust and support.